Last week saw the publication of the latest paper by Faculty of Health & Social Sciences (FHSS) staff. This paper ‘Identifying the gaps in Nepalese migrant workers’ health and well-being: a review of the literature’ was co-authored by BU’s Dr. Pramod Regmi and Prof. Edwin van Teijlingen . The authors argue that the health and well-being of migrant workers from low-income countries is often neglected in travel medicine. This article uses Nepal as a case study to highlight key issues affecting this particular group of international travellers. Migrant workers who are generally healthy appear to be similar to tourist travellers in regarding sexual health as a key issue related to being abroad. Risky sexual behaviour increases in individuals separated from their usual sexual partners, away from their own communities and families, leading to the so-called ‘situational disinhibition’. Considering the recent media coverage of deaths and injuries among migrant workers in the Middle East, it is interesting to see that their sexual health is more prevalent in the research literature. This article reminds us that travel medicine should provide more emphasis to the health and well-being of migrant workers as a highly vulnerable group of travellers with additional impact on the health of those left behind. Since late 2015 the world strives to achieve towards the Sustainable Development Goals (SDG). The SDGs bring together the social, economic and environmental aspects of development. There are 17 SDGs sub-divided into 169 targets. One of these 17 goals focuses specifically on health, namely to “ensure healthy lives and promote wellbeing for all at all age”. 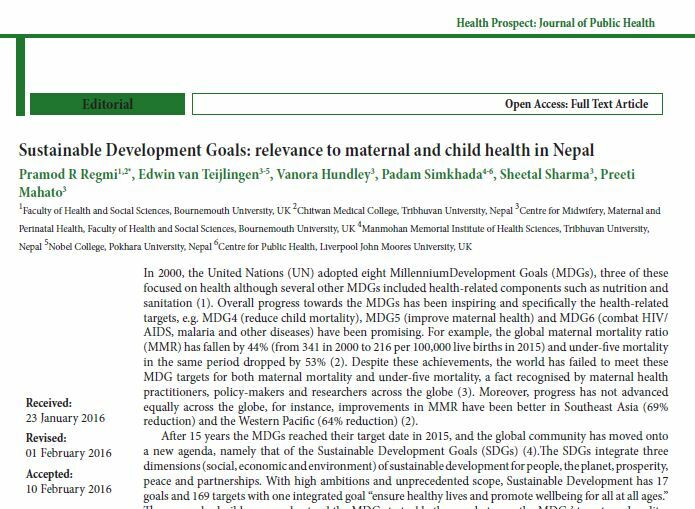 SDG devotes 13 health-related targets to diverse population health and wellbeing issues including maternal and child health, communicable disease including HIV, non-communicable diseases, substance use, traffic accidents, universal access to sexual and reproductive health, and sanitation. Nepal is one of the many countries that have signed up to the SDGs. 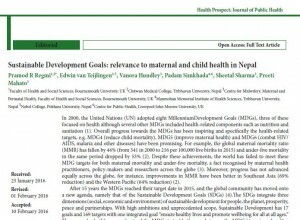 This week BU researchers Dr. Pramod Regmi, Prof. Vanora Hundley, Prof. Edwin van Teijlingen, FHSS, PhD students Sheetal Sharma and Preeti Mahato, and BU Visiting Faculty Prof. Padam Simkhada (Liverpool John Moores University) published an editorial under the title ‘Sustainable Development Goals: relevance to maternal & child health in Nepal’ . This editorial written by health researchers working in Nepal highlights some of the weaknesses in the country’s health care system. 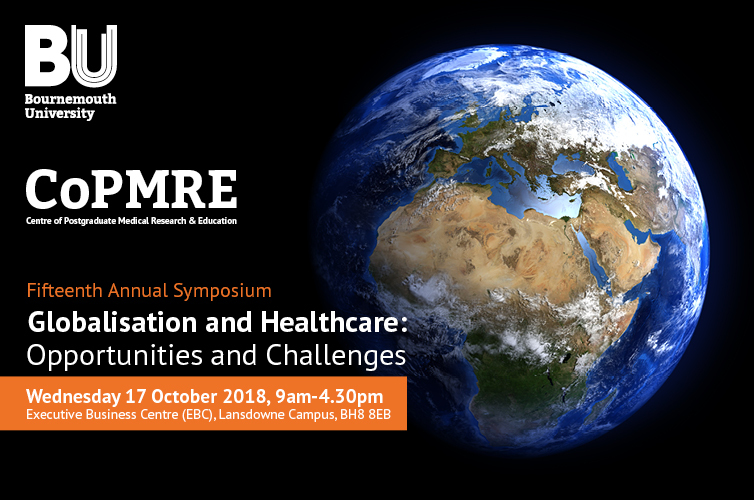 These key problems include the persistence of inequalities in health and the limited access to health services and the low uptake of care in many poorer populations especially in the more remote rural regions. For instance, only about one in nine of the poorest women deliver their babies with the aid of a skilled birth attendant (SBA), whilst 81.5% for the richest women benefit form a SBA. Therefore, this editorial stresses the need for a continuum of health care services to be available across the country and for all sections of the society. Moreover, we can only assess whether a country has reached all or any of the SDGs if there is systematic monitoring and regular review of interventions at all levels. Hence, Nepal should develop measureable and time-bond indicators to track its progress towards the SDGs. The country will need support from development partners in both its attempts to achieve the SDGs as well when it tries to collect and analysis data to assess its progress.